​Stacy Morrison graduated from North Tec in 2006 with a Bachelors of Applied Arts degree. 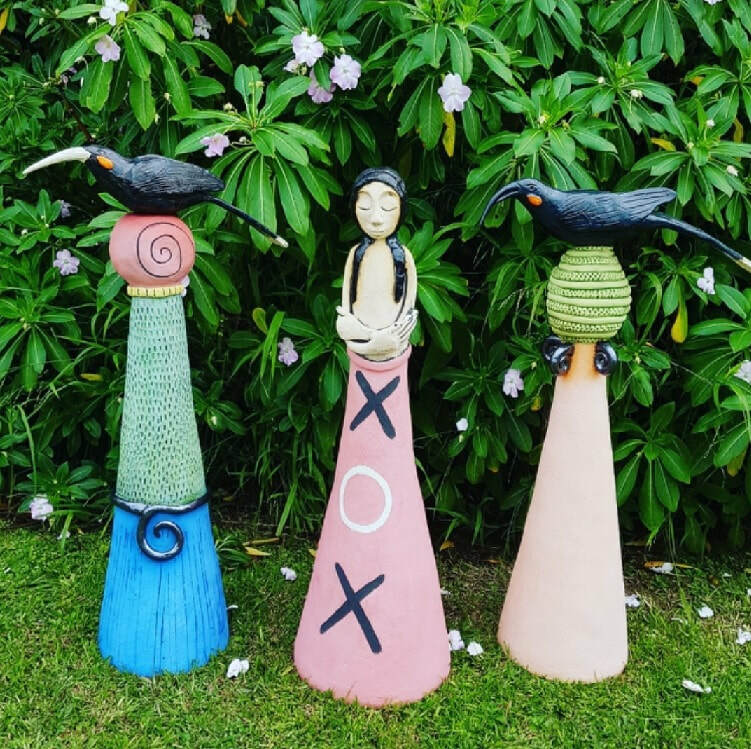 She has a passion for clay,and works from her Whangarei home, where she has a studio/shop. She is diverse in her subject matter and use of colors as you can see in her sculptural ladies and the whimsical garden art she creates. See Stacy at the 2019 Arts Trail.